There’s no shortage of things to stress about when you’re trying to find a job. Is your resume up to shape? Are you really ready for the interview? Those of you coming straight out of college might worry about how you’re going to sell yourself with no experience. Those of you who already have a job might wonder if you’re making some awful mistake. Is your social media history going to hold you back? Make no mistake, employers do look – and I can say that with confidence because I’m the guy who does it. I have half a decade in the field of workforce development, a fancy way of saying that I’m a mashup of a career counselor, resume writer, instructor, and occasionally an exorcist for when the print station display reads “Error 666” and starts shrieking in Aramaic. And when I’m not dousing office equipment in holy water, I’ve been called upon by former employers to help out with the interview process – everything from writing up ads to conducting interviews to snooping around prospective employee’s social media accounts. And that’s not just me being nosey. 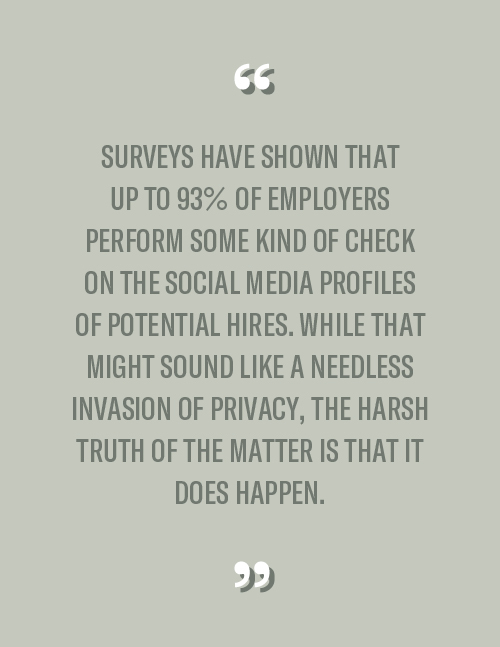 Surveys have shown that up to 93% of employers perform some kind of check on the social media profiles of potential hires. While that might sound like a needless invasion of privacy, the harsh truth of the matter is that it does happen. Most employers will want to see if they can take you out of the running before investing their time interviewing you, or spending money on costly background checks. And there is, after all, only so much a background check can tell them. Employers want to avoid any embarrassment by association, and that often doesn’t come so much in the form of criminal activity as it does in the way of crass, bigoted, or generally idiotic behavior. So what do you do? You’re a human being, after all, and no one’s so perfect that they haven’t taken a picture they regret or posted something that makes them cringe with shame afterward. So do you bribe the HR team? Beg for clemency? Fake your death and assume a false identity like in Breaking Bad? There are solutions out there, and fortunately, none of them have to break the bank. 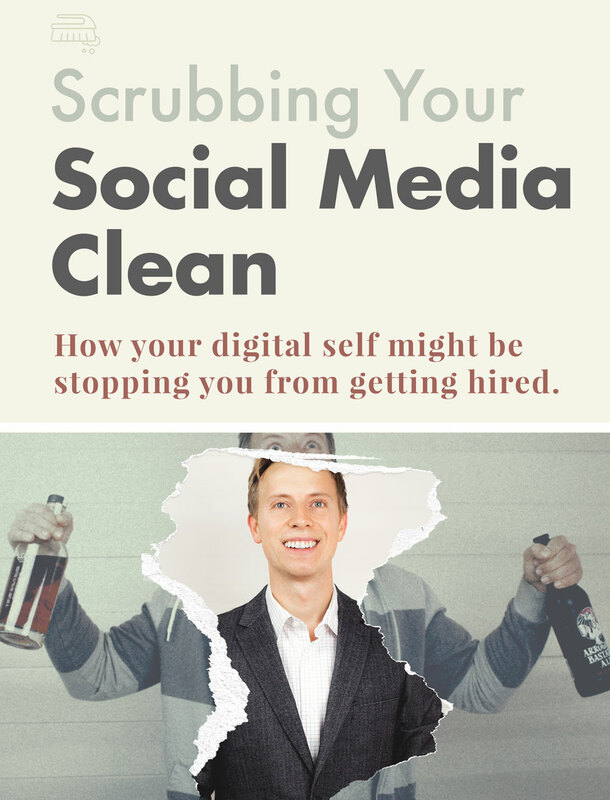 While professional social media “cleaners” do exist, the prices can be pretty steep for a job you could just as effectively do yourself (and arguably, a job that’s far too important to trust a stranger to do). By far, Facebook is the number one place employers look, outpacing even professional networking sites by a massive 78%. Twitter follows close behind, along with LinkedIn pages. Other sites such as Instagram, Tumblr, and Reddit are less likely to be viewed and generally tougher to connect directly to you, but should still never be treated as “safe.” If you put it out there, it can be found. But what exactly is it that employers are looking for? Drugs: By far and away the worst mistake you can make is bragging about any illicit drug use. While the appropriateness of most of what you post will vary from situation to situation, this is the one thing I’d absolutely recommend scrubbing out of your profiles. Even if weed is legal where you live – hell, even if the employer partakes from time to time – this still remains the single greatest turn-off for potential employers. Alcohol: This one can be a bit tougher to judge, as so much of it comes down to context. Pictures of someone sipping a beer or a cocktail probably won’t raise the same questions a bleary-eyed photo of a ziggurat of Everclear bottles will. Best practice here is to ask yourself “if a perfect stranger were to see this, what impression would they have of me?” While liking or following a liquor company shouldn’t hurt, in terms of status updates, please don’t brag about “how much you drank last night,” “how hard you partied, or “how wasted you were.” It paints a picture of you as lacking discipline, restraint, and suggests that you might be the kind of person to call out sick over a killer hangover. It definitely doesn’t make you appealing to employers, and it annoys the rest of us in general. Nobody cares how many shots you did. Nobody. Lewd and Sexually Explicit Posts: Most social media sites will have their own rules and guidelines about posting explicit images and posts to begin with, but generally speaking, keep things PG-13 (at their most edgy). Common issues I’ve come across have been middle fingers (as designs on clothing or as gestures in pictures), risqué photos, and general crassness. While men certainly aren’t judged by their clothing in the same way women are, scrapping shirtless bathroom selfies would be a smart move here, and profiles pics should err on the side of conservative (this is, after all, the first actual picture of you the employer may see). Excessive Profanity: Again, what counts as “excessive” is going to vary from situation to situation, but when it doubt, throw ‘em out. Certain Rage Against The Machine lyrics might not be the best to post here, no matter how utterly awesome the song might be. Friends and Followers: Few things speak to your character as much as the company you keep, and that’s just as true on online as it is in the real world. If a quick scroll through your Facebook friends reveals wildly inappropriate profile pics, even this might come back to bite you. Consider changing settings requiring your permission before you’re tagged in something, and double-check who or what accounts you follow, again asking yourself how you’d come across to a stranger who only had that info to go on. General Warnings – Unless there’s a strict policy against tattoos, showing some (tasteful) ink should be fine, though it’s always wise to be too cautious rather than too cavalier. Other issues might be lengthy political diatribes, firearms and overtly violent imagery, or over-all creepiness (I like Halloween as much as the next guy, but if you dress up as a murder-clown every weekend, I’m going to have some questions). I’d go so far as to even delete posts with repeated and severe misspellings – the occasional typo won’t sink you, but if you’re a repeat offender when it comes to apostrophe placement and they’re/there/their, a judgmental employer might make some less-than-charitable assumptions about your communication abilities. While you should always operate under the assumption that anything you post (private or otherwise) will eventually be looked at by someone, the easiest solution to controlling what people see is, well, controlling what people see. While a total shut-out might have been concerning for employers a decade ago, things have advanced to the point where private social media will probably look more prudent than suspicious. Still concerned about how you’re coming across? Almost every social media site will include a handy “View As” option that will show you exactly what recruiters will see when they look at your page. For this example, we’ll be using Facebook (and while this might be basic for many of you, a quick review is better than losing that job). 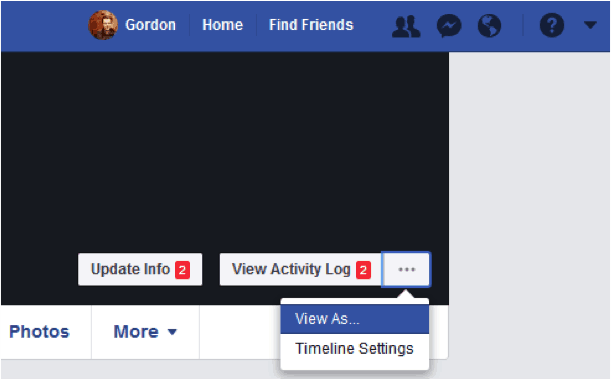 Now at your Facebook page, you’ll find the “View As…” option by clicking on the ellipsis (the “. . .”) button on in the upper-right hand corner of your page. Once you click on that option, you’ll be able to view your profile – timeline, “about” section, photos, friends, everything – from the perspective of a total outsider. You can take your review a level deeper and see what friends and family can view simply by clicking on the “View as Specific Person” link in the black bar that appears below your name, where you’ll be prompted to enter the name of whoever’s perspective you’d like to review. At first, most of you may see all the same posts you’d have on your regular page – don’t worry, this is probably just a result of all your posts being completely open to the public or to all your friends. When you’re back in your own page, click on the small grey icon that displays below your name and next to the date. 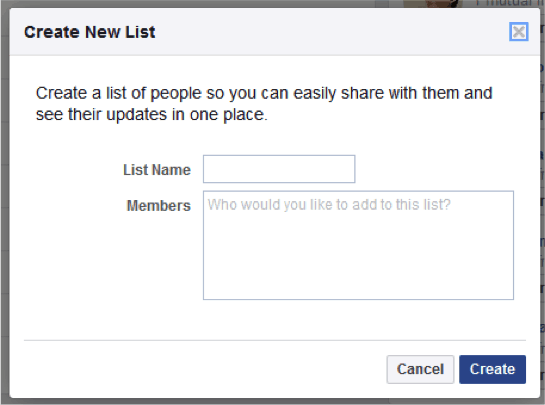 This will open a drop-down menu allowing you to choose exactly who will be able to see the post. 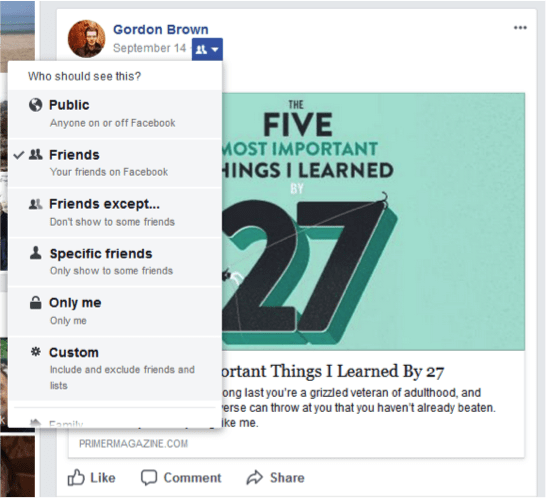 While you’ll be able to limit posts to only the folks you want to include (or exclude, as the case may be), you also have the option of creating “lists” – preset categories you can create for your convenience. 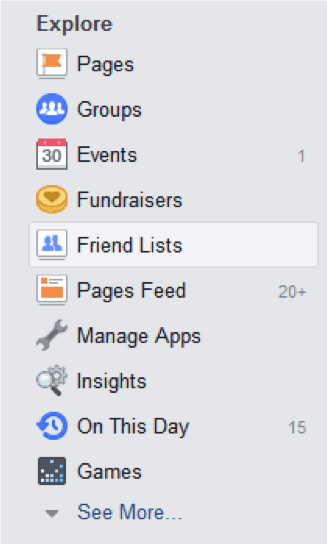 At your Facebook dashboard, click on the “Friend Lists” icon you’ll find on the left-hand side of the screen. Clicking this button will open up a box allowing you to create a customized list of people you’d like to share with (“writing and publishing colleagues,” for example). Once you’ve added people to the list, that same list will appear in the “Who should see this?” drop-down menu whenever you post anything new. The fact of the matter is there well may be things out there we don’t want folks seeing and that we have no control over. It might be newspaper articles, arrest records, or otherwise unflattering information. It might even be someone completely different but with the same or similar name, and their actions get wrongfully associated with us (it happens more often than you’d think). This is where a technique called “flooding” comes in. Flooding is the way for us to drown out (or at very least, dilute) any negative information online about us by adding positive information. While you should have an updated LinkedIn page showcasing your talents and skills, you might also consider an additional Facebook account – one that’s open to the public, and loaded up with positive updates like subtle references to some skill you’re developing or an article on developments in your field. Ambitious applicants could even consider pulling together a blog to showcase your eloquence (no need to sink hours into these – just update them enough to stay relevant in a Google search). For folks in creative fields, some form of online portfolio isn’t going to just be helpful, it’ll be essential. Make no mistake, everything you’re doing is to lay the foundations for how employers, coworkers, and clients will see you. You’re not cleaning up your social media just to land any old job, you’re developing an image that will be out there selling you to the universe 24/7. You’re building your brand. Your actions – the good, the bad, and the ugly – all contribute to a virtual of you that’s going to be attached to you for decades. So make it the best you that you can. Good read. I’d def recommend privacy setting changes above all else. If an account is private on twitter or fb, there’s nothing a company can do, so it ends there. Part of my job is checking profiles for applicants and we tend to check linkedin more than anything. One “did you know?” I’ll give you is that your comments on sites using the facebook comment interface show up in background searches. I used the background check techniques I learned from my current role to check my own web trail and was embarrassed to find all the top results were super crude comments I made on anime and manga pages when I was in grade school (Maybe 15?). Took me an entire day to delete all of my decade old comments. So while we can’t check private facebooks, we see EVERY SINGLE facebook comment you’ve made on a 3rd party site. That’s a fantastic tip! Thank you! Good read, but I think it focuses too much on hiding behavior you don’t want others to see, as opposed to not doing things that will bring future embarrassment. If you’re applying for jobs where your public-facing side matters (and they are looking at your social), then perhaps don’t take pictures with bottles of everclear and glassy eyes, for example. My only critique of the article is the same – trying to clean up your content will always be less useful than either 1. abstaining, or 2. Just making your accounts private to begin with.